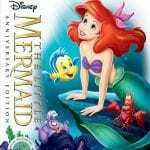 The Little Mermaid earned its right as a Disney classic when it all but saved animation from extinction upon its hit release in 1989. Nearly 30 years later, few would refute it as one of the most important films in the storied legacy of Walt Disney Animation Studios, and now it arrives to a new home video release with a treasure trove of bonuses fit for King Triton. The prestigious Walt Disney Signature Collection will add The Little Mermaid to its ranks with a digital debut on February 12, followed by 4K Ultra HD and Blu-ray on February 26. The set’s cover art, above, touts it with three separate labels, technically making this release the “Walt Disney Signature Collection Multi-Screen Anniversary Edition.” Got all that, Scuttle? Alan Menken & the Leading Ladies Sing – From the voice of a mermaid to the tunes of a muse, the music of Alan Menken has scored the soundtrack for some of Disney’s most iconic leading ladies. Join Alan, Jodi Benson (Ariel), Paige O’Hara (Belle), Judy Kuhn (Pocahontas Singing Voice), Lillias White (Calliope) and Donna Murphy (Mother Gothel) as we celebrate the music of their films in honor of the one that started it all … The Little Mermaid. In this discussion, the ladies will share their memories of musically creating their characters with Alan, discuss what it means to be part of the Disney Princess/leading lady legacy and create new memories as they sing with Alan around a baby grand piano. 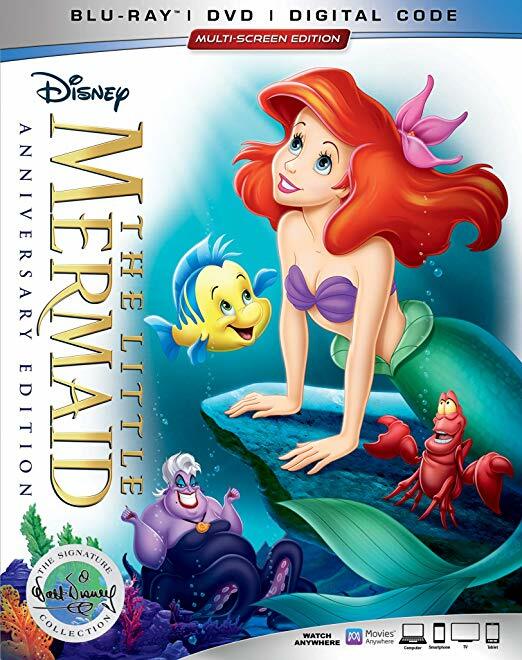 Additionally, this isn’t The Little Mermaid‘s first time up to bat, and its entry into the Walt Disney Signature Collection carries over an abundance of bonuses from its previous home video releases, all of which were already hefty. These include an audio commentary, deleted scenes, a look into the live-action reference process, and a terrific peek into a lunchtime lecture by Howard Ashman that changed animation forever. In the realm of DVDs that altered Disney history (of which I’d say the category is pretty slim), it’s fun to now look back in The Little Mermaid‘s 2006 Platinum Edition. That set highlighted a “never-built” ride based on the film intended for Disneyland that never saw the light of day. A version of that attraction now exists not only at Disneyland, but also at Walt Disney World. It’s not a huge inference to say unearthing the abandoned concept in preparation for that DVD may have sparked interest in pursuing the project again. That same retrospective (now wildly foreshadowing) is expected to be included on the Walt Disney Signature Collection, too. Previous volumes in this series, which first began in 2016, include Snow White and the Seven Dwarfs, Beauty and the Beast, Pinocchio, Bambi, The Lion King, Lady and the Tramp, and Peter Pan. You can check out Rotoscopers’ reviews of those releases by clicking the respective titles. Will you purchase this new edition of The Little Mermaid? Which films do you hope will be included in this collection in the future?